Returning to the beautiful beaches and shores of Miami, Maurizio Colella, better known to you as EDX came armed and ready for yet another year of smashing success during the city’s famed Music Week. One of his favorite places to come back to time after time, the Swiss DJ/producer always finds pleasure in the music loving, culture celebrating, good vibes of Miami. This week in particular is one packed with celebration for the long-established musician as he prepared for a string of seven performances throughout his five days in town. A signature EDX staple of Miami Music Week, his annual No Xcuses party turned out a massive crowd and a massive success on Thursday night at Mokai Lounge. Back for the eighth year, No Xcuses has seen sold out shows across the board and streams out continual good energy and classic tracks from EDX and his talented friends. Also hitting Sam Feldt’s Heartfeldt Pool Party, Spinnin’ Deep, DJ Chuckie & Friends at the National, Darklight Sessions at Mynt Lounge and more, fans had their pick of parties to catch one of his feel-good sessions live. 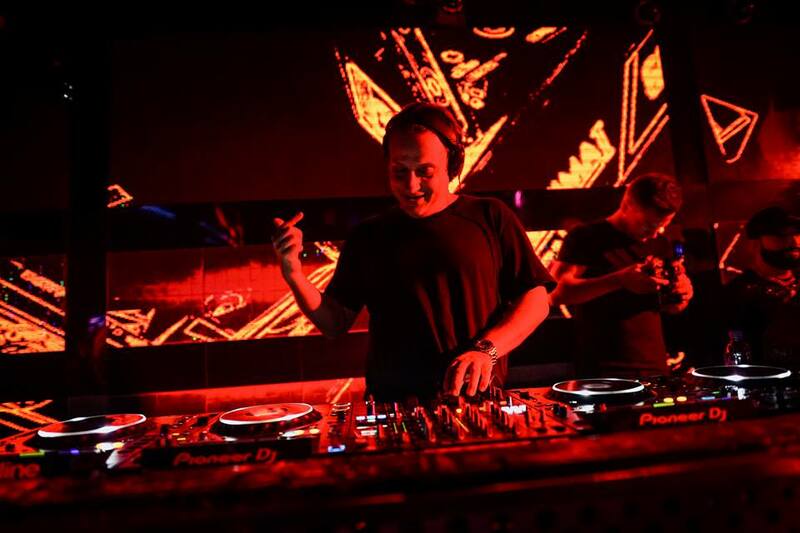 2019 has already been a landmark year for EDX, with his first release “Who Cares” setting the tone along with a very special week in Los Angeles for the GRAMMY awards this February. Nominated for his Dubai Skyline Remix of Charlie Puth’s “How Long,” this has been a lifelong dream come to reality and a groundbreaking milestone in his career thus far. We caught a few moments with EDX to chat at the beautiful Setai Miami for an update on his latest happenings since our last chat in Amsterdam. Nocturnal Times: Welcome back to Miami Music Week! Another year of parties and sunshine 🙂 Tell us about what you have planned for the week here? EDX: Well it’s always good to be back in Miami, especially the fact that you get to meet so many friends. Everyone is here for the music, the weather is amazing, and being able to come back and play shows for your fans again and again is like a pure blessing. I’m playing seven shows this year, and I’m really excited actually. No Xcuses is back – it’s eight years of No Xcuses now and a sold out show tonight again, and I’m really looking forward to the whole week! Nocturnal Times: So the show tonight at Mokai is a new venue from last year for No Xcuses? EDX: Well we have been going a little bit back and forth in South Beach and we actually had a very successful sold out show at Mokai like five years back, and we went to other venues and now we’re going back to Mokai. It was just the perfect fit because we wanted to make it more intimate and on a Thursday night when a lot of people aren’t in yet because of Ultra starting on Friday. But at the end of the day it’s not about the venue, it’s more about the music and the people. Nocturnal Times: And who’ll be joining you on the lineup tonight for No Xcuses? EDX: Well there’s a lot of friends joining me tonight, and a lot of friends playing. One of them is Burak Yeter, there’s Tom Staar, Black Caviar, Shaun Frank, Scotty Boy, there is my crazy friend Hugel, and a lot more! But I’m really looking forward to the guests because it’s all about the guests at the end of the day. Nocturnal Times: Tell us about the Heartfeldt Pool Party you played yesterday? EDX: It was very cool! We just landed, went straight to the hotel, took a shower, straight on stage and it was a good experience – it was good to play with my boy Sam Feldt. We have the big hit “Show Me Love” in common and that connects us forever actually! I just bumped into him before, and he was excited about the show. Everything went well, there was a lot of people and a lot of love for the music. Nocturnal Times: Speaking of music and releases, you have one coming up in April. What can you share with us about this upcoming track? EDX: “Off The Grid” is a very special song that I did together with Amba Shepherd. It’s very Summer-ish, it’s very vibey, and it’s like all about the message you know. It’s an EDX signature song, so you will recognize right away it’s EDX. I’m really excited to release it. I’m actually premiering it this week at my radio show No Xcuses. Spinnin’ added it already to the Miami mix, and then we take it from there! Still a month to go. Nocturnal Times: April will be a busy month for you! You have an Asia tour coming up – tell us where you’ll be stopping? It’s kind of a short but sweet run. EDX: Asia is amazing because it’s such a huge continent with a lot of different cultures and people. I’m playing a show in Bali, one in Japan – Tokyo. I’m playing four shows together with Croatia Squad in China and then another one on a big festival during one of the most important weekends in Thailand, in Bangkok, and I’m really looking forward to it actually because it’s a mix of club shows and festival plays. Nocturnal Times: Besides this tour, what are some other shows you have planned soon or this Summer that you’re looking forward to? EDX: You know, all the traditional ones – in Europe, going to Ibiza, I’m doing a lot of German festivals this year. Doing one of the biggest new festivals in Switzerland, it’s called Vibes. Really looking forward to this too because it’s my home country and it’s good because we are back on track on the festival side. Over the Summer a little more Europe and then back to the rest of the world! Nocturnal Times: Music wise you had “Who Cares” come out earlier this year. What else do you have coming this year that you can share with us? EDX: Next single is “Off The Grid,” there will be a more club driven record for Ibiza releasing I would say in June, working on some remix stuff too. I have already a couple of records in the pipeline – I’m really looking forward to this! Nocturnal Times: In other recent and majorly exciting news, you attended the GRAMMYs last month. Congratulations again on the nomination! How was this whole experience? EDX: Thank you very much! You know it’s amazing. Everything started for the love for the music and with a lot of dreams, and one of the dreams was like me being a kid one day winning or being nominated for a GRAMMY, and well, it happened. Something very very personal and touching and I feel very proud that we were able to do this all together with my team. Spending the week in L.A. with my closest people and my team was an amazing experience and I’m very thankful for being able to work in music and be able to kind of express myself and my art with music. Nocturnal Times: To wrap things up, what is something, music related or not, that you’re most looking forward to coming up? EDX: You know I’m really looking forward to the touring and to sharing my new tracks. There’s actually a lot of tracks ready to go. And that’s it more or less you know – I am happy! Photos via EDX Facebook & Instagram.